(Bloomberg) -- For the leader of the U.K.’s main opposition party, Jeremy Corbyn, Brexit was something of a sideshow on Wednesday -- and that’s another sign he has a general election campaign in his sights. 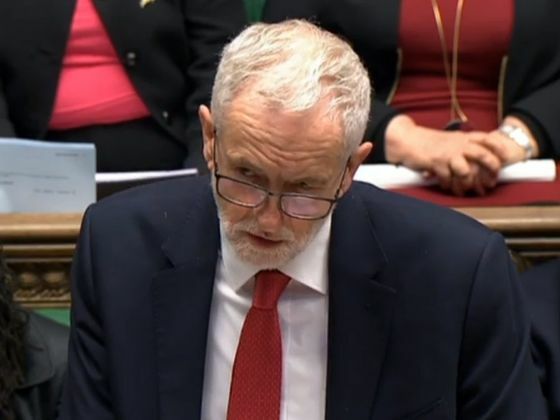 Labour Party head Corbyn made only the briefest mention of the cross-party Brexit talks his team is having with Prime Minister Theresa May’s government, during their weekly exchange in Parliament on Wednesday. Instead, he returned to the theme that helped him win 40 percent of the vote at the 2017 election -- the Conservative Party’s unpopular record of spending cuts. It sounded like a rehearsal for an election campaign -- and May has already suggested a national vote might be needed to break the Brexit deadlock in Parliament. Another election is what Corbyn has been calling for ever since the last one stripped May of her ruling majority in Parliament and brought Labour to within touching distance of power. In her response, May painted Corbyn as a threat to national security who would put up taxes for everybody, vowing that she would never allow this Labour-run future to happen.